Enduring favourites get a deliciously daft new twist in these funny fairy tale retellings, sure to provoke many giggles! 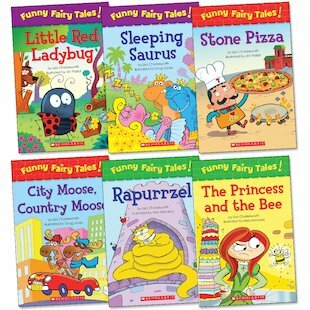 Giving a fresh new lease of life to much-loved traditional tales, this wonderful series lets kids chuckle as they build their reading skills. 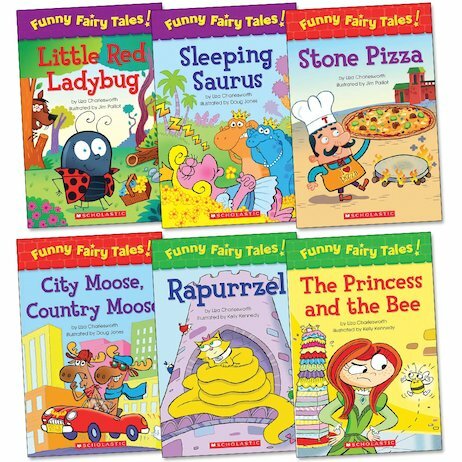 Dinosaurs, pizzas, moose, bees and many other incongruous elements make their appearance in the always-surprising stories, allowing children to compare these new versions with familiar old ones, thinking about how different texts work in different ways.